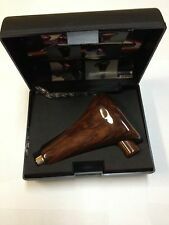 REAL WOOD GEAR SHIFT KNOB AUTOMATIC TRANSMISSION. 2000 Honda Civic Center Shifter Shift Console Bezel 1996 1997 1998 1999 Gray . Condition is Used. Shipped with USPS Parcel Select Ground. 88-91 Honda CRX. Racing inspired performance short shifter. 92-00 Honda Civic. Reduce shift throw up to 35%-45%. Faster shift throw and response. 93-97 Honda Del Sol. Color: Green. Q: When will I receive my item?. Part/Notes: FLOOR SHIFTER ASSY. -Life is life and issues arise; people make mistakes. Looking to replace your worn out factory boot?. This is only the shift boot, it does NOT include the mounting bracket. VMS Racing Shift Knobs are Manufactured of High Aircraft Quality T-6061 Billet Aluminum precision Machined and then they Are Hard Anodized used a Special Anodizing Process used by Most OEM car Manufacturers to Ensure a Long Lasting Finish and will provide years of trouble free reliability. 1994-1997 HONDA DEL SOL 5 SPEED MANUAL TRANSMISSION MODELS ONLY. 1994-2001 ACURA INTEGRA 5 SPEED MANUAL TRANSMISSION MODELS ONLY. 1992-2000 HONDA CIVIC 5 SPEED MANUAL TRANSMISSION MODELS ONLY. 1 SHIFT BOOT WITH 3 ROWS OF BLUE STITCH TRIMS. 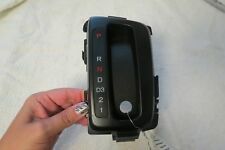 06 Honda Civic EX Automatic Transmission Floor Shifter Assembly. Removed from an 06 Civic EX. Item is an OEM part and may have visible wear from normal use. Provide any details of your claims process to Highline Auto Parts. Shift Lever Ball Seat. HONDA GENUINE. HONDA CIVIC EK9 EG6 TYPE-R GRAY STITCH JDM SHIFT BOOT. This VMS Racing Shift Boot is not a Universal Shift Boot, this Shift Boot is a exact Replica of the Genuine Honda TYPE-R Shift Knob Part #. Gray Stitch For. 2001 2002 2003 2004 2005 Honda Civic EX. 1990-1993 Acura Integra GS L4.1834cc Interior Accessories::Shift Knobs. 1997-2001 Acura Integra GS L4.1834cc Interior Accessories::Shift Knobs. 1990: 10 x 1.5 Thread; For Use w/5 Speed Transmission; Weighted Approx. 06011 Honda Civic e brak assembly with gear selector assembly. In good working condition. Thread pitch 10x1.5mm. 1320 Performance has combined the design of the Classic Tear drop shift knob with unparalleled weight resulting in our heaviest weighted shift knob yet! Made Famous in generation of best Tuner cars such as the NSX type R and the Integra Type R.
Fits : EK9 EP3 FN2 DC2 DC5 S2000 FD2 FA5. New Mugen Black Shift Knob Leather With Red Stitching. 1 x Mugen Leather 6 SPEED SHIFT KNOB. Model :Honda. 2 Color Available Black or Red. All orders require 24-48 hours to process. IS A HONDA CIVIC COUPE EX AUTO SHIFTER ASSEMBLY COMPLETE. REMOVED OFF A 2012 HONDA CIVIC COUPE EXL, ITEM IS IN GREAT WORKING CONDITION. WHAT YOU SEE IS WHAT YOU GET. Made from aircraft grade billet aluminum, these shift lever extensions bring the shift knob up from the console and put it closer within reach. If you are looking to reduce your hand travel from wheel to shifter, these are the perfect item for you. FITMENT: Fit any Honda / Acura vehicle or any other Vehicle that has a 1.50 Thread Pattern 1986-2001 HONDA PRELUDE 1988-1991 HONDA CRX 1988-2013 HONDA ACCORD 1993-1997 HONDA CIVIC DEL SOL 1997-2000 HONDA CR-V 2000-2009 HONDA S2000 2000-2013 HONDA INSIGHT 2007-2012 HONDA FIT 1986-2001 ACURA INTEGRA 1991-2005 ACURA NSX 1995-2010 ACURA TL 1997-2003 ACURA CL 2004-2011 ACURA TSX DESCRIPTION:. Part/Notes: AT SHIFTER ASSY. -Life is life and issues arise; people make mistakes. Used Factory Original HONDA CIVIC AUTO MATIC TRANSMISSION GEAR SHIFT KNOB 2012-2015. Removed from a 2015 Honda Civic. Vehicle compatibility chart provided is to be used as a guide only. Free of any breaks or cracks or repairs! Real Carbon Fiber PVC Leather VIP Style Shift Knob. Design: VIP Luxury Knob. Remove the original factory gear knob from shifter. Place the new knob over the shifter and fasten the correct nut. 1 x Shift Knob. Made from real Leather. BLACKWORKS LEATHER SHIFT BOOT. 1990-2001 ACURA INTEGRA. 1988-2000 HONDA CIVIC. RED STITCH. IMAGES USED ARE FOR ILLUSTRATION PURPOSES ONLY . PART # BWAC-SB01. Action Clutch. 01-05 HONDA CIVIC SHIFTER BOOT BEZEL TRIM COVER OEM Pictures are of actual part you will receive. Local pick-up is available in Hamilton, Ontario, Canada. FITMENT: Fit any Honda / Acura vehicle or any other Vehicle that has a 1.50 Thread Pattern DESCRIPTION: 100% Brand New in the Box, Never Used!! Diameter: 50mm Manual Transmission Car Only! Thread Size: M10x1.50 Made of High Quality Heavy Weighted Billet Aluminum and Real Carbon Fiber Features a laser etched shift Pattern and Legendary Mugen Logo Made in Japan Package Included:. VMS Racing Shift Knobs are Pre-threaded to Manufacturer Standards for easy Installation, No need for drilling or tapping. The Thread of this Shift Knob is. Shift Knob is Made only to Work on. 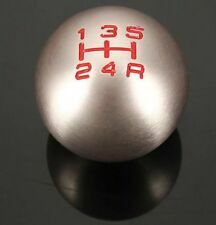 VMS Racing Shift Knobs are Manufactured of High Aircraft Quality T-6061 Billet Aluminum precision Machined and then they Are Anodized used a Special Anodizing Process used by Most oem car Manufacturers to Ensure a Long Lasting Finish and will provide years of trouble free reliability. 2005 Honda CIVIC HYBRID SEDAN MX (HYBRID) Variable 2004 Honda CIVIC HYBRID SEDAN MX (HYBRID) Variable. Part/Notes: A/T Shift Knob - 1.3L Hybrid - with trim. -Life is life and issues arise; people make mistakes. BLOX 490 Spherical Shift Knob. Honda Acura Application. Gold finish. BLOX Type-R Shift Knob. BLOX racing shift knob. Finish : NEO FINISH. Application : Honda and Acura. VMS Racing Shift Knobs are Pre-threaded to Manufacturer Standards for easy Installation, No need for drilling or tapping. VMS Racing Shift Knobs are Manufactured of High Aircraft Quality T-6061 Billet Aluminum precision Machined and then they Are Anodized used a Special Anodizing Process used by Most oem car Manufacturers to Ensure a Long Lasting Finish and will provide years of trouble free reliability. This billet shift knob is machined from 6061 Billet material and hard anodized to resist scratching and wear. The knob weighs 188g / 6.6oz to give you that more positive & smooth feel when shifting. This is aPILOT shift knob removed from a 94 honda prelude we are parting out. It is in good used condition. a pretty image. Honda Parts Unlimited. Trending at $21.03eBay determines this price through a machine learned model of the product's sale prices within the last 90 days.